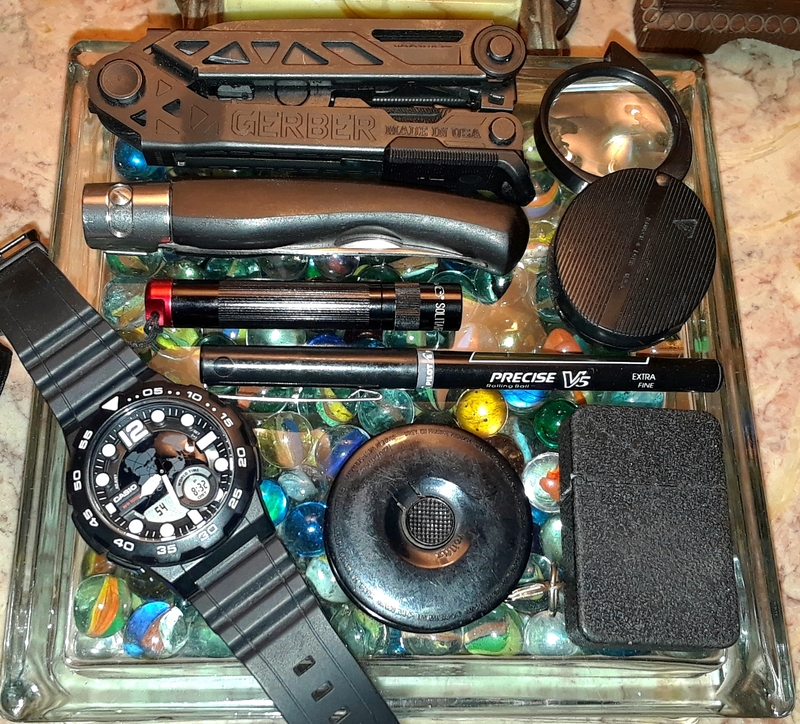 Re: Pocket Dump picture thread. Very nice, RR! It all ties in together well. Today's Center-Drive centered Pocket Dump. I'll take it a step further. You have a SAK and Flashlight in the same compartment. Also... i don‘t wanna hear it! I can't say I'd store MTs and Lights in the same storage compartments either. Unless it is my Minichamp Lite or Spartan Lite, which would make separating light from SAK impractical. That is true. Are you ready for the challenge? Can't say I am. Likely doing the Surge challenge in March. 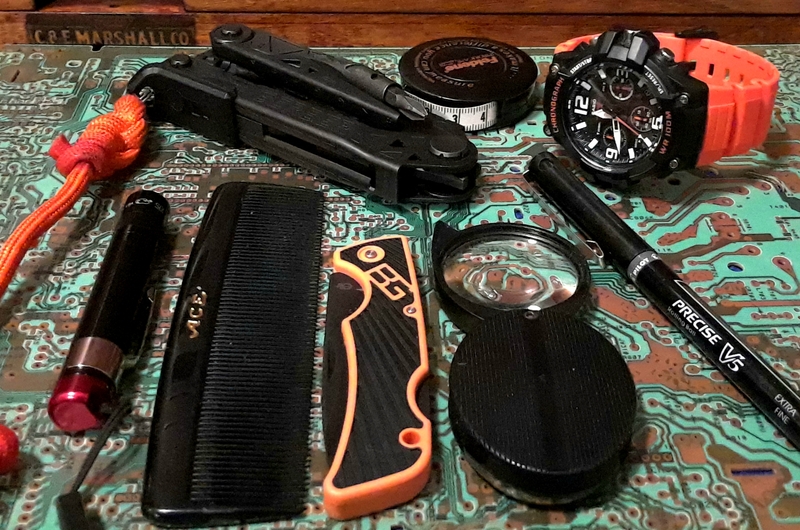 Who can guess who this pocket dump belonged to? Easy. Pres. Abe Lincoln. The six-blade Congress and confederate note gave it away. Well done GLBM. Was way too easy! I just now saw that. I cannot believe I wrote the incorrect month. Funny. You probably did. smurfing auto correct. That's what I would blame it on. Can't honestly blame auto-correct. I have auto-correct and grammar recommendations disabled on my phone/computer. I just call it a good ole' fashioned screw-up. Hero Member Posts: 725 "My real name is Cosmo Pombal"
Nice carry, Serena. Thumbs-up for the Ray-Bans! No Life Club Posts: 2,082 Yersinia Pestis & Campylobacter Jejuni! Picture doesn't show for me?